Our January Nerd Block Jr.
Tens of thousands of “nerds” around the world receive their monthly Nerd Block in the mail. I first learned about Nerd Block late last year and wrote about their newest product addition, Nerd Block Jr., a themed subscription box for kids. Nerd Block is based in Canada, but ship worldwide. 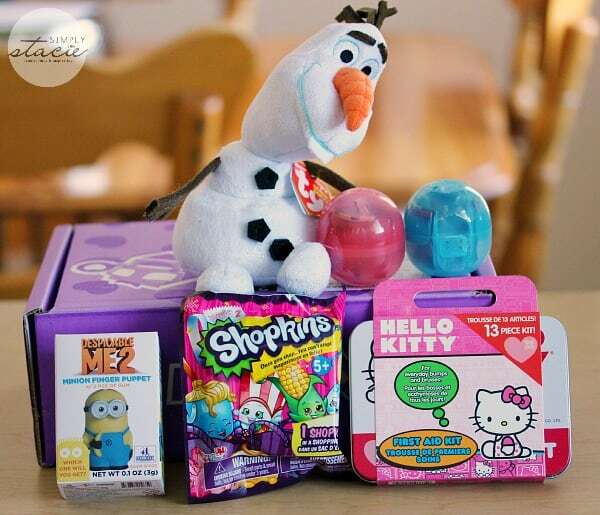 Every month their subscribers receive a “Block” – a box full of toys, collectibles and more. John is a big kid at heart and has many collections. He is definitely a target customer for Nerd Block! 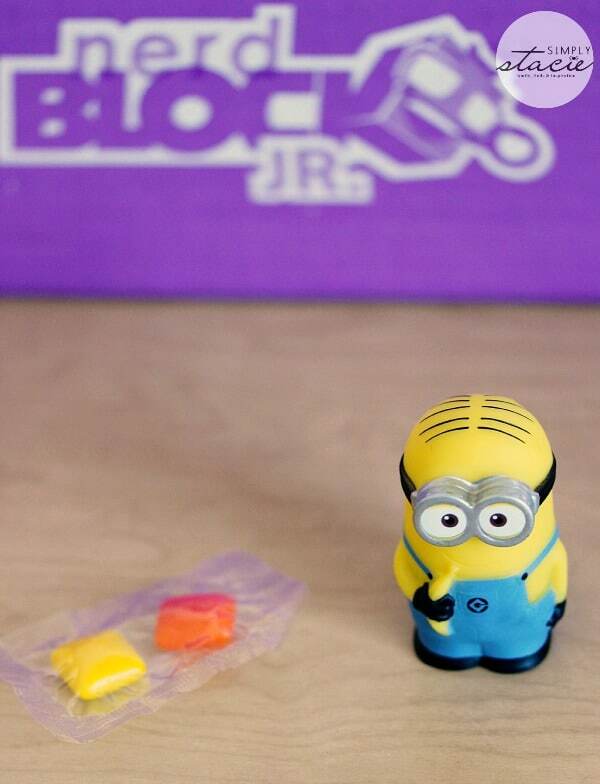 Nerd Block Jr. also has toys and collectibles, but is geared towards children ages 6 to 11. My 10 year old daughter enjoys surprises and she was excited to open her January Nerd Block Jr. delivery to see what treasures were inside. Every month is different and it gives kids something to look forward to. I know I love getting surprise deliveries! Want a peek at what was inside our January Nerd Block Jr.? Take a look! The Frozen fans will adore the Olaf Beanie Baby! Don’t freak out, but I have yet to watch Frozen. I know, I know…I need to watch it. Check out this adorable Minion Finger Puppet from Despicable Me 2. Bridget watched Despicable Me over and over (and over…) when it first came out. It also includes two pieces of flavoured gum. This little guy is from a collection of 10. 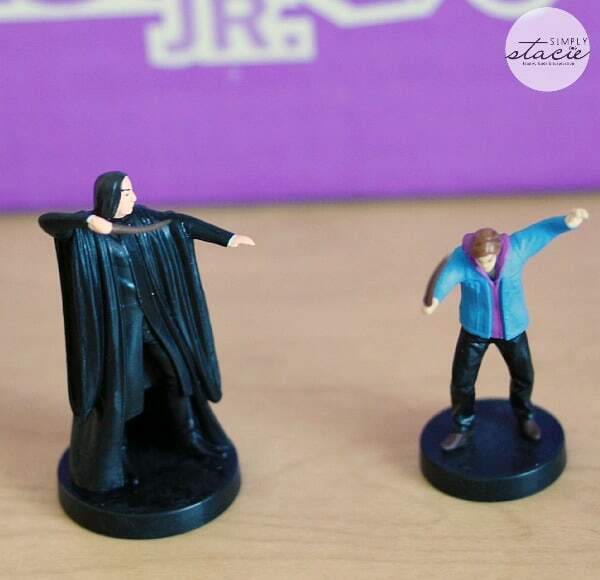 Inside each of the two plastic eggs were these Harry Potter figurines! I recognize Professor Snape, but wasn’t sure who the boy in the blue was. Shopkins are another collectible set. 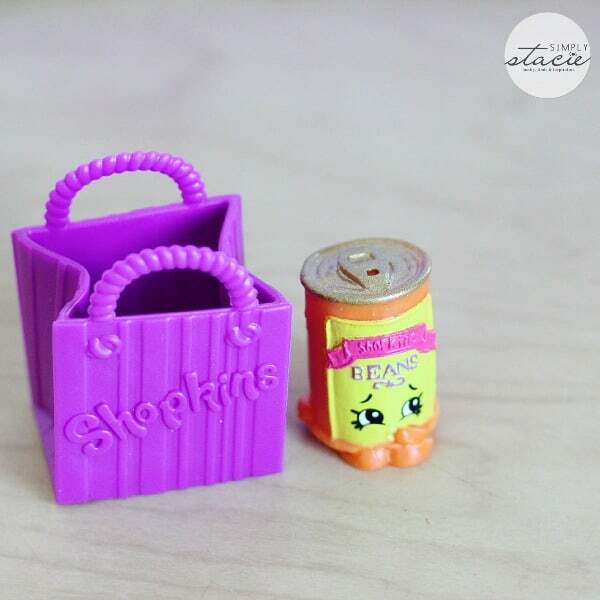 Each package comes with a Shopkin in a shopping bag. It also includes a list so you can check off the Shopkins you have. 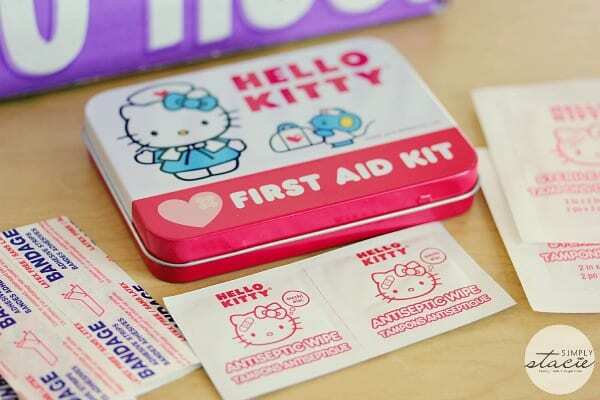 Bridget adores Hello Kitty and thought her Hello Kitty First Aid Kit was pretty neat. It comes with 13 pieces including antiseptic wipes, bandages, gauze in a collectible tin. There is still time to buy a Nerd Block Jr. subscription and receive the February Nerd Block Jr. They are delivered mid-month. It costs $13.99 per month. If you prepay for a longer period of time, you can get a cheaper monthly rate. Check out Nerd Block to learn more and to purchase one for your little one (or big kid at heart!). I like the Nerd block classic however, the fact that they have choices labeled “girl” and “boy” toys would keep me from ordering. Time to get rid of these gender stereotypes! My oldest son would love the Horror Box that they have. I learnt that every Nerd Block comes with a custom t-shirt. <3 that! I like(d) and learned that Nerd Block offers many totally exclusive items that aren’t available anywhere else. I love all the great variety of surprises ! Such a cool idea ! I love the custom tee shirts! I didn’t realize how inexpensive these boxes were, or the selection. How neat! I learned that Nerd Blocks are sent out approximately the 15th of every month. I love the Horror block. I like that there are many different blocks, for different age groups. I love that something fun comes each month. My daughter would love being surprised each month. It would be something to look forward to. I like that they deliver straight to the house, what a great idea! My daughter would love these! my daughter would love this the characters she loves so much! I like that they have a horror box and arcade box. Even my grand kids are familiar with the items. I like that the boxes have licensed merchandise in them so you know you aren’t getting cheap knock-offs! I learned that each item in the Nerd Block subscription box is carefully selected and put through a series of in-house testing based on quality, brand association, collectability, and most important – fun factor. I like the price and the variety and that it can be for a girl, boy or adult. i like how cheap they are and the characters in the box are cool ones. I just won! It does happen!!! Thank you so much, Kathy D.